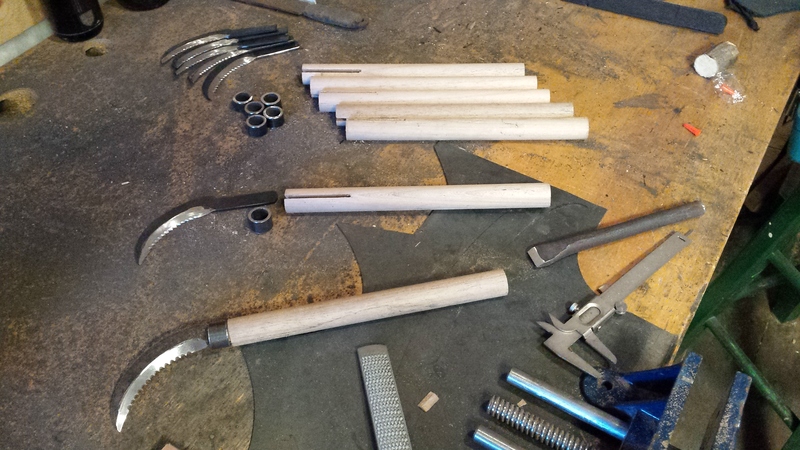 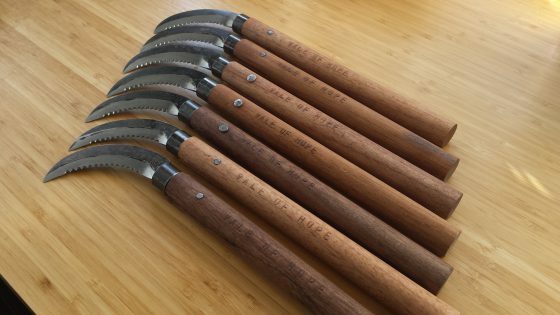 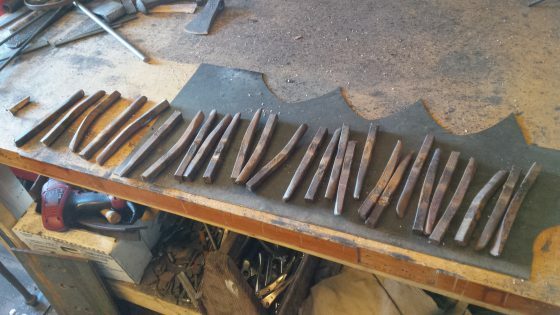 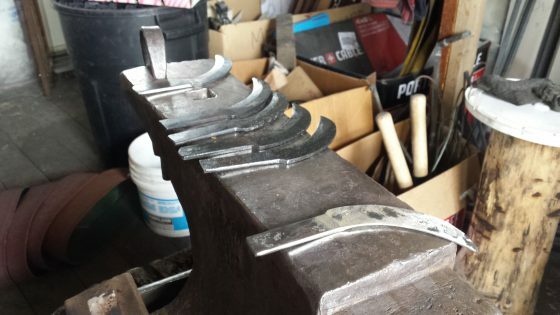 This project started with a phone call from the prospective customer, who informed me of the antique farm steel he had and his desire to use it in some way to create a set of heirloom tools for his family. 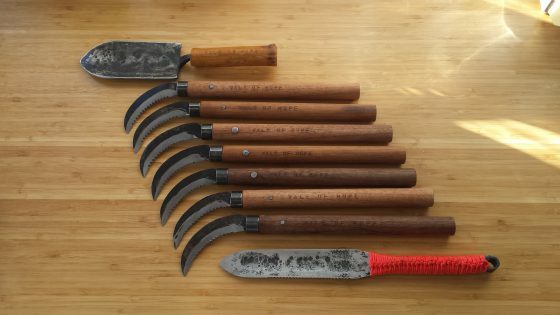 The history of where his family came from was important to him and he wanted encapsulate that in the tools he wanted made. 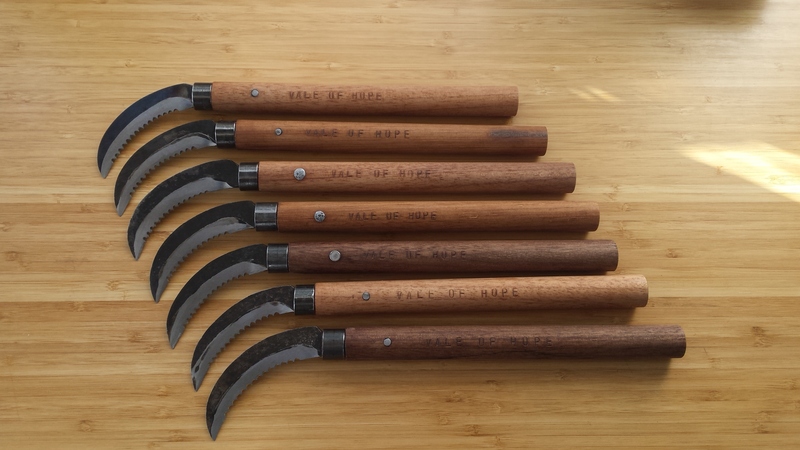 We chatted about this and decided the best use for the harrow teeth were to make rice knives (kama) from them. 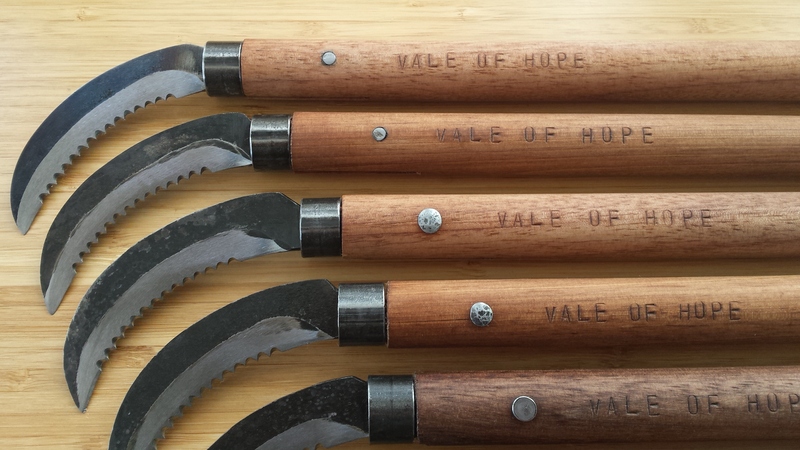 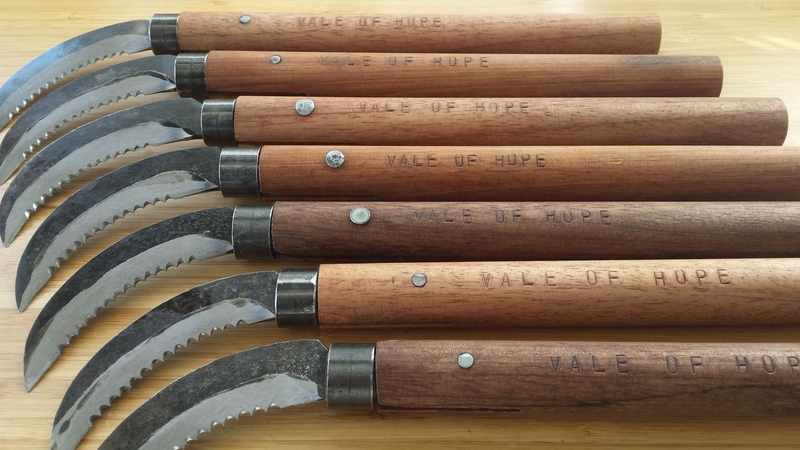 The customer also asked that each tool be stamped with the name of the family farm: “Vale of Hope.” We agreed on a price on for the project, he paid 1/2 the fee upfront and I went to work with the material he supplied me. 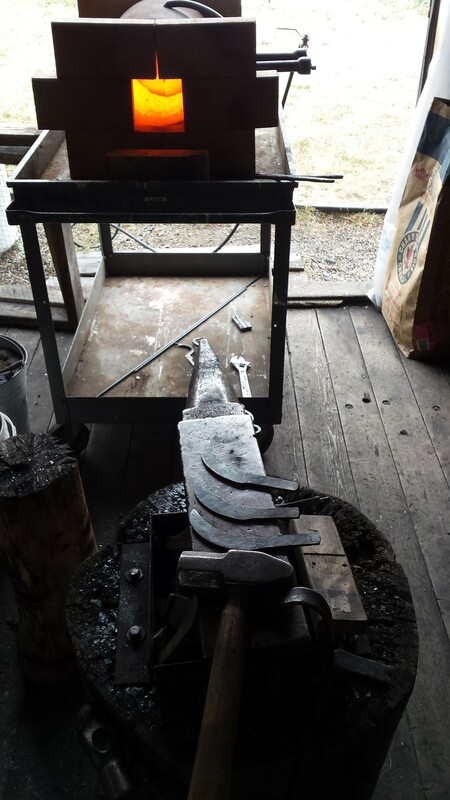 I also offered to document the process for him to share with his family, and the pictures here are the result of that. 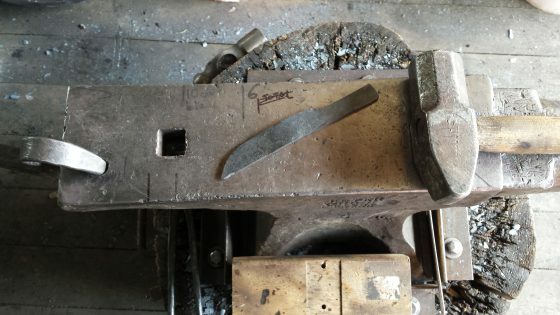 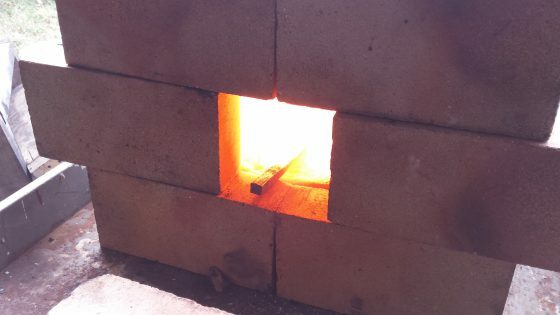 I proceeded to test the steel to ensure it was suitable for the purpose we wanted. You can watch the testing process on my Youtube channel. 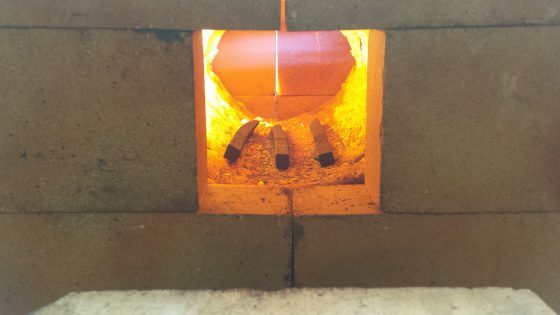 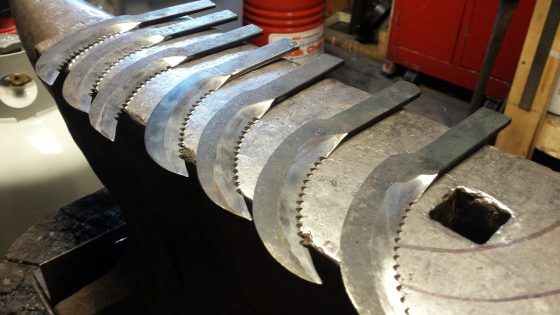 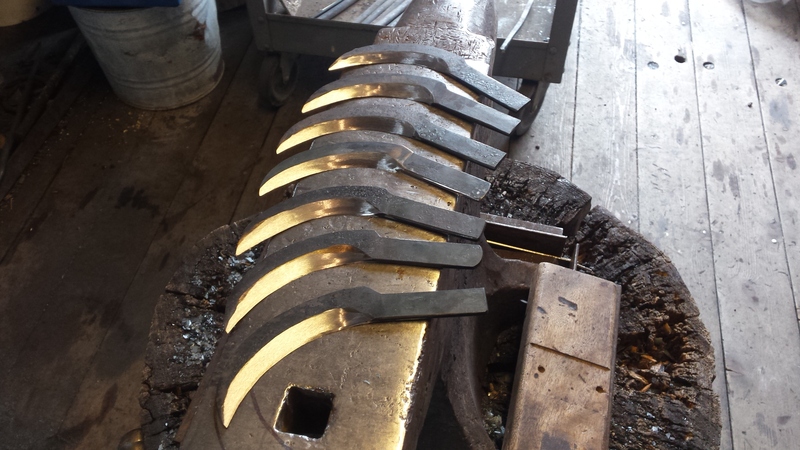 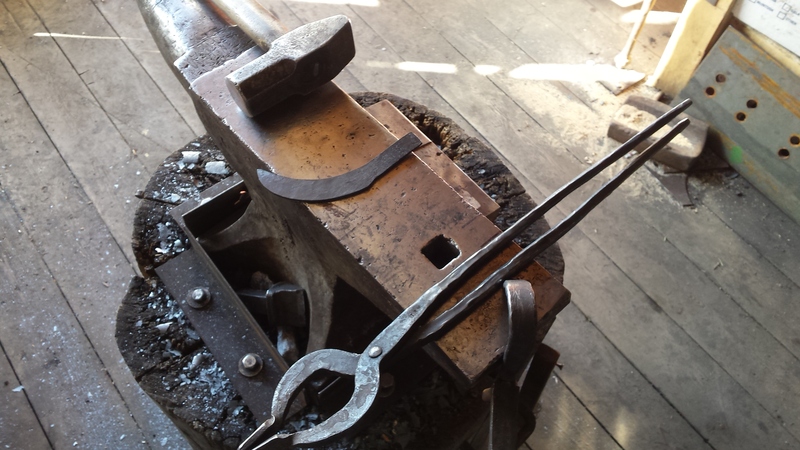 Once I was certain the harrow teeth could be made into serviceable blades, I got to forging the set of seven kama. 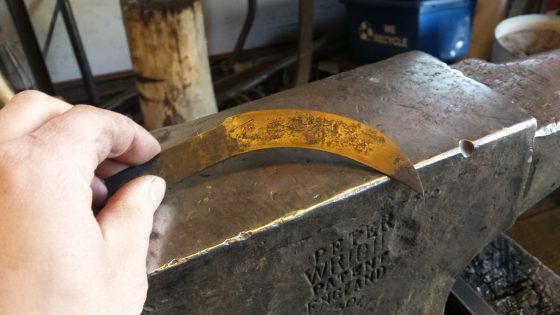 I’ve made many of these tools before so I knew exactly what I wanted from the steel, and it cooperated. When all the tools were completed I contacted the customer, showed him the finished product, ensured he was completely satisfied with the result, and collected the final half of the payment for the project. I had a great time working with the customer and on these tools, especially knowing that we had salvaged some high quality steel and re-purposed it into tools that will last generations and continue the memory of his family farm. 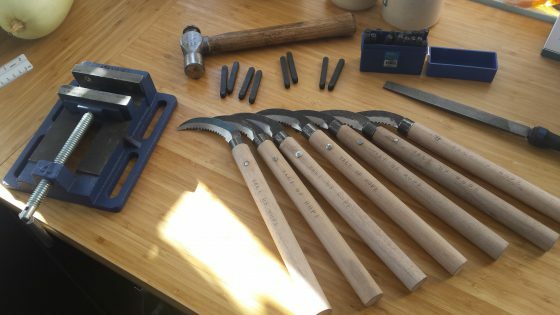 I’ve created a video where I narrate the process of making the tools with the provided harrow teeth. I offer this service to any potential customer who wishes to preserve a piece of family history with scrap steel they have, either as a memento or a usable heirloom tool such as these. I can also work with supplies of wood or other materials that can be incorporated into the design of the tool or ornamental piece.